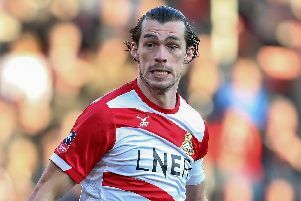 Does last year’s title collapse put extra onus on Doncaster Rovers finishing this season strongly? Darren Ferguson has underlined the importance of a strong finish to the season. Althought the Scot - who takes him team to Blackpool today - does not neccesarily subscribe to the view that last year’s title collapse has put more onus on Doncater Rovers ending this campaign on a high. Rovers, currently 15th in League One and six points above the drop zone, lost their last four games of last season to blow the chance of winning League Two. “Everyone was massively disappointed that we didn’t finish the job off,” said Ferguson. “I think we came in for a fair bit of criticism for it - some of it I felt was over the top. “But I suppose if you go on a run like that towards the end of the season you’re going to get criticized. “There were reasons for it and I’ve spoken about them before. He added: “I treat each season in isolation. Other people, including the media, maybe look at things differently. “But if we can finish strongly, as high as we possibly can, it would give us a lot of confidence I feel. “And then you can start picking the bones out of why you maybe didn’t get to certain areas in the league you wanted to.